Sterling Children's Books, 9781454921998, 160pp. It has millions of visitors, some of the most renowned exhibits ever created, and one of the world's largest collection of dinosaur fossils--and now kids can enjoy a special glimpse "backstage" of the amazing American Museum of Natural History. 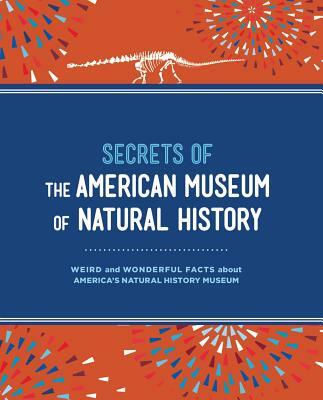 This stunning book showcases fascinating, little-known details and secrets known only to insiders With incredible information, illustrations, and photos, it truly brings the Museum to life. The American Museum of Natural History is one of the world's preeminent scientific, educational, and cultural institutions. Since its founding in 1869, the Museum has pursued its mission--to discover, interpret, and share information about human cultures, the natural world, and the universe--through a broad program of scientific research, education, and exhibition. Each year, millions of visitors experience the Museum's 45 permanent exhibition halls, including the Rose Center for Earth and Space and the Hayden Planetarium. The Museum's scientific collections contain more than 34 million specimens and artifacts, which are an invaluable resource for Museum scientists, for students in the Museum's Richard Gilder Graduate School, and for researchers around the world. Visit amnh.org for more information.